The tacit support of the Sri Lankan government for extremist nationalist Buddhist groups is directly responsible for the increasing violence against the country’s confessional and ethnic minorities. Deadly attacks over the weekend against Muslim communities in the country’s south west once again bore clear signs of government acquiescence in anti-minority violence. At least three Muslims died and scores were injured when a mob incited by the far-right Buddhist group, Bodu Bala Sena, tore a trail of destruction through the coastal resort of Aluthgama destroying or looting Muslim owned properties and businesses. The attacks came after the Bodu Bala Sena were allowed to hold a rally in the town despite warnings by one of the government’s own ministers that it would likely turn violent. Even after the disturbances erupted and authorities imposed a curfew on the affected areas the police did little to stop Buddhist mobs rampaging through Muslim areas. These attacks are just the latest in a series of attacks by the extremists from the mainly Buddhist Sinhalese majority directed against minority groups. Aside from regular attacks on mosques and Muslim businesses, recent years have also seen Sri Lanka’s sizeable Christian minority come under fire. 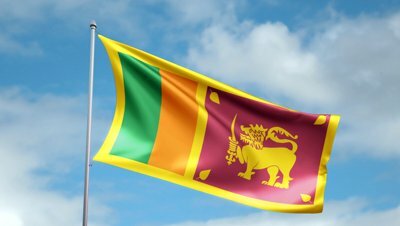 The violence follows a surge in nationalist sentiment following Sri Lanka’s 2009 crushing of a 26-year long separatist ethnic rebellion by the Tamil Tigers. Last March the UN Human Rights Council voted to mandate the office of the UN High Commissioner for Human Rights to undertake “a comprehensive independent investigation” into human rights abuses carried out during the conflict. Not a single person has so far been held to account for serious violations of international law during the war, particularly its climax, which ended in a bloodbath in which an estimated 40,000 civilians were killed, mostly by government artillery. There are also suggestions that the extremists operate with quiet backing of current president Mahinda Rajapaksa as well as his brother, Defence Secretary Gotabaya Rajapaksa. Previous attacks by the Bodu Bala Sena have gone unpunished, and hard-line monks have been able to operate largely with legal impunity. Some analysts believe the Rajapaksas are hoping to consolidate the Sinhalese majority vote, which is about 75 percent of the country, by demonising minority Muslims and Tamils. IHRC urges the Sri Lankan government to take immediate steps to rein in all hard-line groups who incite and commit violence and tangibly demonstrate its commitment to protecting the lives and rights of all the country’s citizens, including its religious and ethnic minorities. It also calls on the government to refrain from playing the anti-minority card in order to win popularity.